Birding Is Fun! : It's Sweltering! It's Stinky! Time To Get Your Salt On! It's Sweltering! It's Stinky! Time To Get Your Salt On! Located in Imperial County, CA, the Salton Sea is one of the more surreal sites in the American southwest. To access the Sea from Arizona, one must first drive hundreds of miles down the most desolate stretches of the I-10, and then progress through the denuded Imperial Valley sand dunes, which served as Luke Skywalker's home planet in the Star Wars movies. 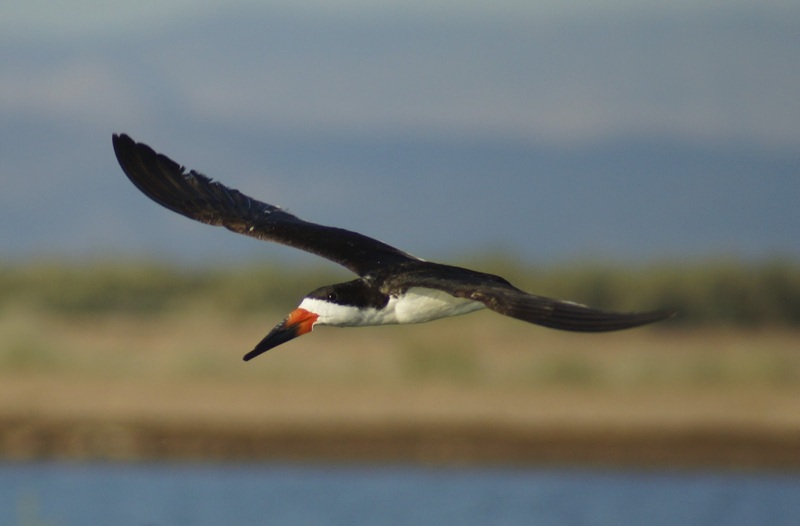 With Pelicans by the thousand, Terns, Gulls, Herons, Shorebirds, pelagic birds and a huge potential to catch vagrants, the Salton Sea is one of the premier birding hotspots in the continental U.S. 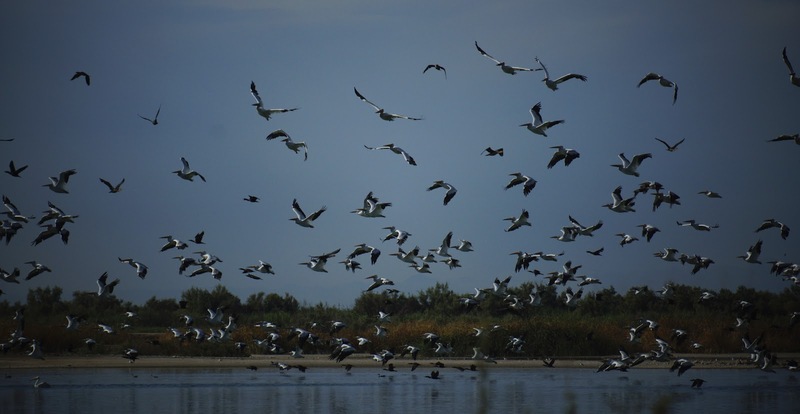 Although the water of the Salton Sea is enclosed and stagnant, coastal and inland birds move through in large numbers and with great regularity. 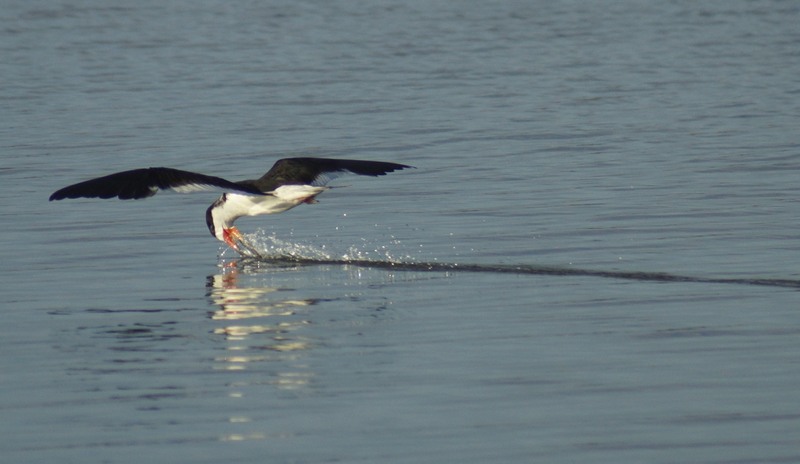 The Wister Waterfowl Management Area now plays hosts to several hundred roosting Black Skimmers and Gull-billed Terns. I missed the Terns by about a week, but many of the Skimmers were still around--a fittingly preposterous and awesome-looking bird for a preposterous and awesome place. While keeping one's head low to avoid the errant shots of Dove hunters, one can watch the Skimmers display their aerial prowess while the ever-calm and collected Western Grebes cruise below. 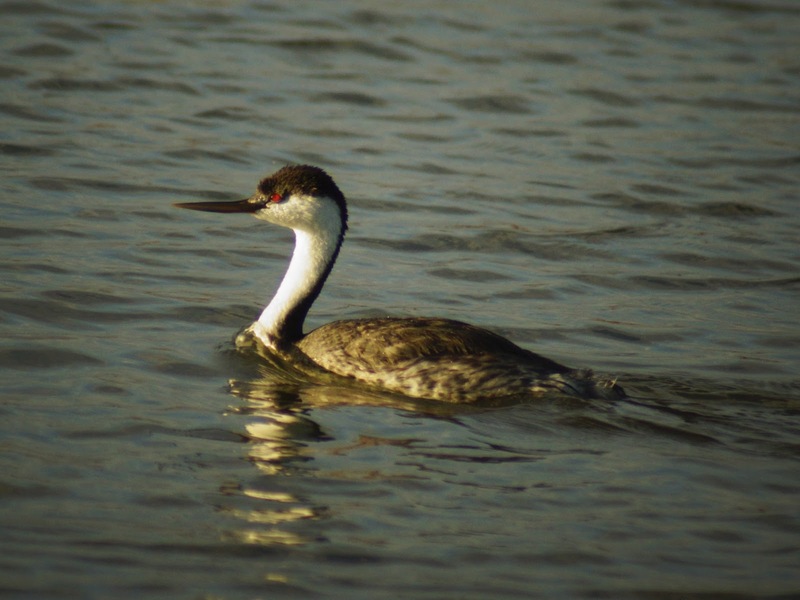 Sometimes the Skimmers come down to the Grebe's level too, and put those big mandibles to good use. Farther south from the Wister Waterfowl area, which is essentially flooded acres of former slat cedar groves, one gets to the Salton Sea proper. The mud gets thicker, stickier, and stinkier, and the concentration of shorebirds really starts to increase. 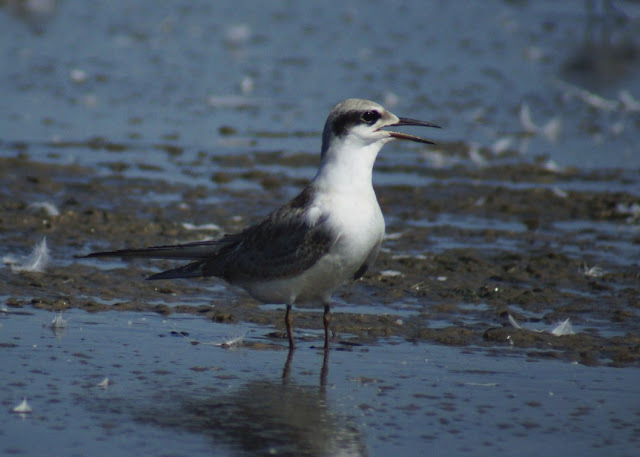 There are various points of access for the Salton shore, many of which offer different expected species and rare sightings. Almost all of the turn-offs are guarded by Burrowing Owls who chide the obsessed birder for entering such a hellish place. The Owls are prescient, as Owls are often said to be. While exploring the Schrimpf and McDonald Road sites it is very easy to get one's vehicle ensnared in the quagmire. Once stuck, there is no escape but for the slow demise brought on by beating heat and whips of salty wind. It eats away flesh and metal alike and has spelled the doom of thousands of birders. 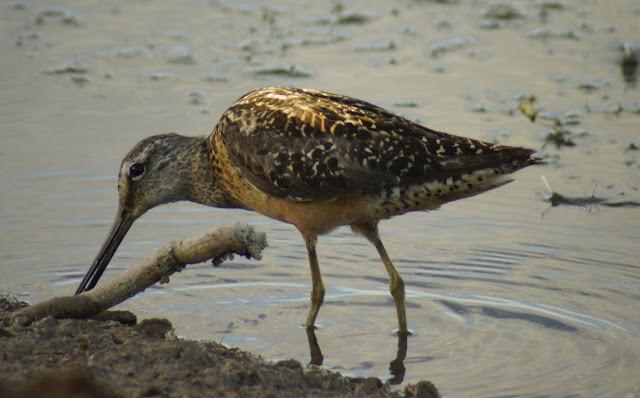 For those that do survive, it does offer really nice looks at in-land Short-billed Dowitchers and massive Pelican flotillas. One of the best spots along the east coast in the Red Hill "Marina," which isn't so much a marina as a strip of beach with a few deteriorated posts in the sand and some old cement foundations. The open expanses of shoreline are covered in dead fish and more than a few dead birds. Foraging amid the debris are many little Peeps. The Western Sandpipers forage in conspicuous groups, but less gregarious Semi-palmated and Snowy Plovers require a discerning eye at times. 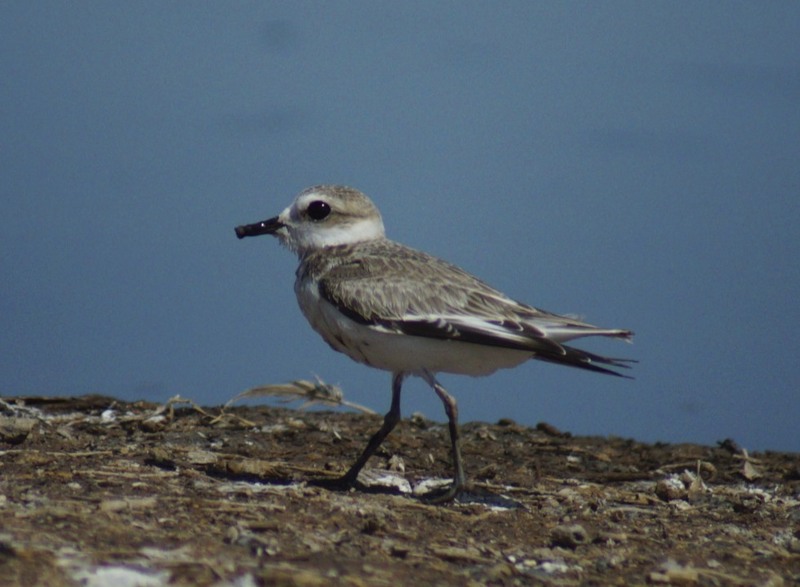 The Snowy Plovers blend in particularly well despite there being no snow around the Sea. They bring some subtlety and softness to the harsh landscape. Packs of rampaging Marbled Godwits are a more obvious sight along the shore, where they dip and slash with their rapier-like bills, murdering little mollusks with extreme prejudice. Like the Gulls and Pelicans, the Godwits are very suited to life at the Salton Sea. On the other hand, gentler birds like this little Red-necked Phalarope, struggle to clear the relentless tide as it comes crashing towards the shore. It is a harsh world where only the strong survive, and only the cruel thrive. Troops of Yellow-footed Gulls also ply their trade along the Salton Sea shore--one of the few places they're seen north of Mexico--and like a great pirate armada they roam around the other concentrations of birds, ready to pillage and loot at any sign of weakness. Despite the seeming brutality of the place, the Salton Sea has plenty of charm. Over three hundred and eighty species of birds have been recorded in the area, with plenty of rarities and specialists species not often seen anywhere else. The landscape is rough, but the birds bring grace and purpose to this funny lake, and make it worth the blistering trip. Sounds like a hellish place. You give it mythical status as it takes an intrepid traveler to get there. You made me shiver, Laurence. Great description and great photos! Love your descriptions Laurence, wonderful post and pictures! Star Wars references combined with the NatGeo-like allure of far-flung places, make this a fun read Laurence. What great birds you saw too. We have family in Southern California that we want to visit, and the incentive to go just increased. Fantastic! I need to get out there some time. Yes, I suppose we all have our different fantasies, but this one will fulfill them all! I hope you make it Scott; I'll be looking forward to you shots. Been there and survived, even shot video there. Great birds. Monterrey is such a gorgeous place...I don't know if the stark contrast between it and the Salton Sea is healthy. No, those'll be some great days of birding for you no doubt! The Salton Sea roads are dirt, but for the most part you shouldn't have a problem getting around the area. The North/South Roads will take you along the east coast (not sure if that' where you'll be heading), and these are fine. Some of the east/west roads, like Schrimpf and McDonald, get very mucky as you get closer to the end. If you see the road is a darker brown, as in it's still moist, then just get out and walk that last distance (which shouldn't be much, unless there's a lot of rain between now and then). I hope you find the Gulls. I'm hoping to go back to the Sea for some winterfowl in late October but it's a grueling drive from Phoenix. The Yellow-footed Gulls should still be there--good luck! Thanks Mama Zen, the sea itself has some funky funky chi. Wow! I'd love to visit that spot with all those thousands of birds. A beautifully written description. What a thrill to see so many beautiful birds. Great photos! Great post and a lot of information! I hope to get there some day soon. Thanks for sharing! Cheers Gordon thanks for stopping by. I'll be looking forward to your photos once you get out to there. Wow Laurence, you certainly know how to set a scene! Outstanding post! Your descriptive narrative and wonderful photographs really hooked me in. 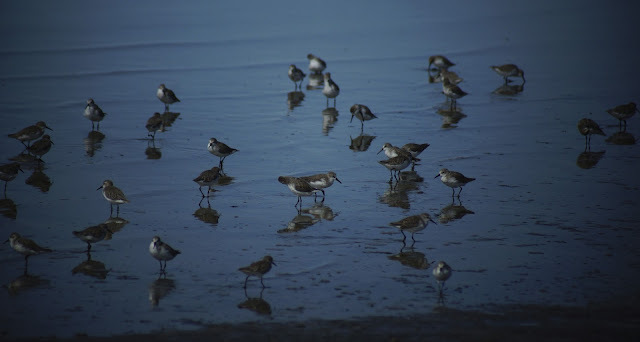 The Salton Sea sounds like a fabulous place to view birds. 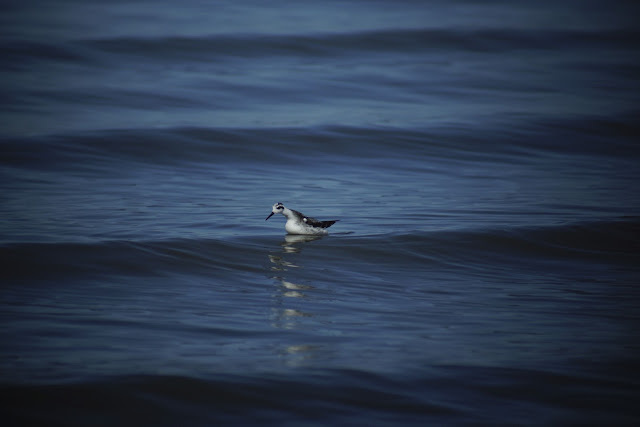 After reading this post, I think I will have to put this birding destination on my list. I bet every visit is quite an adventure. "The Salton Sea sounds like a fabulous place to view birds." It is a remarkable area and the wildlife, particularly birdlife, is amazing. I'd definitely recommend it as a hotspot, but maybe try and get to the San Diego beach afterwards for some more birding and more soul-satisfying scenery. You sure have a way with words, great post and awesome photos! Thank you Debbie. I like to think words have their way with me...or maybe not, that sound's weird...anyway there it is, weird and weirder. I really enjoyed learning about your encounter with the Salton Sea. Great photos of the wonderful species you saw!!! Thank you Tammy. It doesn't have quite the pizazz of the Everglades or Fort De Soto or Orlando Wetlands, but hey it's about the only place within 4 hours I can see Gulls. I will be birding in that area in just a couple of weeks for the second time ever! Are the Yellow-footed Gulls still there in mid September? Nice Rob! I want to get back out there, but doubt I'll be able to for a few months. 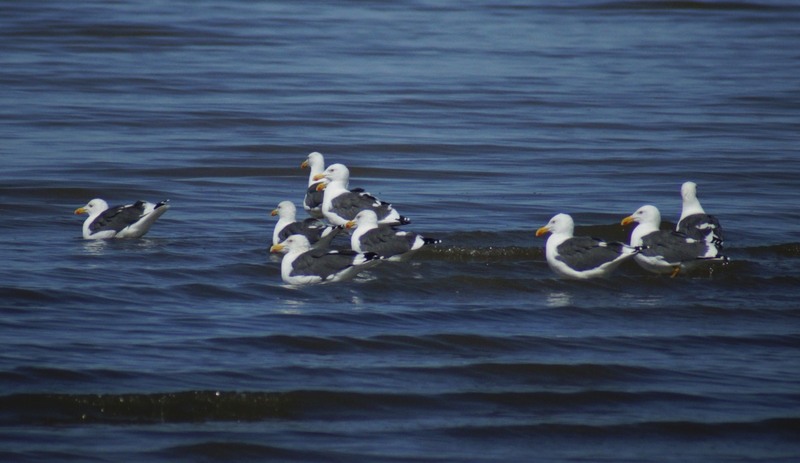 The Yellow-footed Gulls start to decrease in number through the autumn, but a few stay all winter long and they should still be fairly easy to find throughout September. If not at the Red Hill Marina area, check the southeast parts of the Sea--I've heard they linger there longest though I wasn't able to actually make it down that far during my brief visit. Best of luck! Laurence, from just reading the title I thought you might be talking about the Great Salt Lake because it gets stinky too! This is a great post and it has made me ever more curious about the Salton Sea and the avian residents. Thanks Mia. Ah, no I haven't been to the Great Salt Lake area for birding yet, but now I've had some exposure to the salty side of birding and I'll be better prepared. It seems like the Salton Sea is the poor man's Great Salt Lake, but it has its own strengths too. Sounds like a place I need to visit Laurence! Your descriptions and commentary are only exceeded by your wonderful photos of this surreal place. 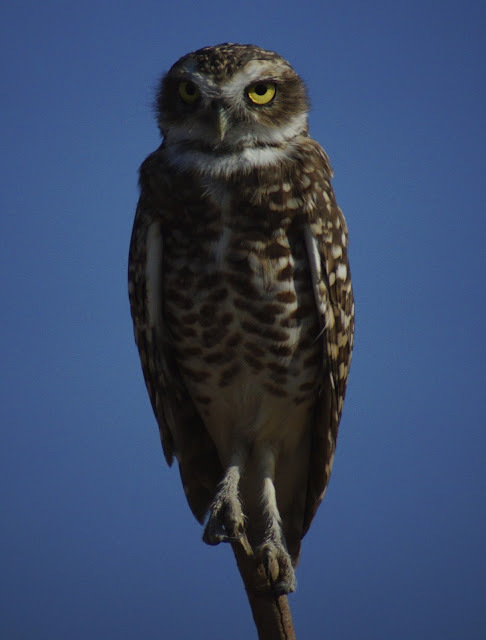 Of course I knew of the Salton Sea from the Burrowing Owl lore but would love to see one standing sentinel at every turn off! Thanks Larry! It's funny how it works out. The Salton Sea area is a great location for shore birding and waterfowl, but then the surrounding desert scrub doesn't offer a whole lot--mostly Quail and Doves--except for the Burrowing Owls. 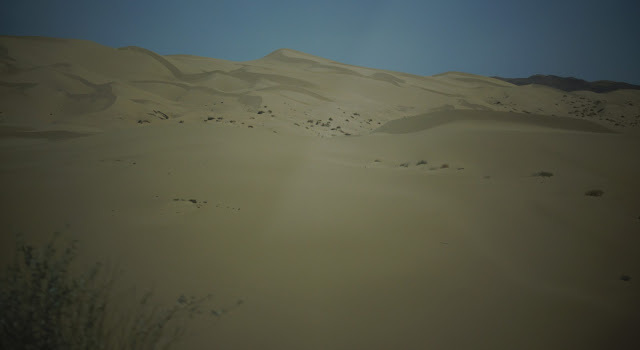 I counted over a dozen sentries at different turn-offs and perches and they were too spread out to all be based at the same few burrows, so their networks must be pretty expansive there. It was wonderful to see. Laurence, what an adventure! I definitely need to go to this place. When I am ready I will consult you for trip advice! BTW, why the dead birds? Great shots and great post! Sounds good Kathie! I think the dead birds were just par for the course here. Its a harsh environment and with population numbers so high, there'll be some dead birds too. They seemed to be mostly Gulls and Pelicans, all of which has been picked clean to the bone. I guess it's all part of the same cycle, but something about seeing a Pelican skeleton is...weird. One of my favorite birding memories was my daughter and me to the Salton Sea. She had just turned 4 years old and she and I spent 3 days wonderful days birding together in 105 degree weather. We slept out under the stars on the ground, ate sandwiches prepared from our cooler, and hiked and drove around the sea. Wood Storks, Gull-billed Terns, Black-necked Stilts, Yellow-footed Gulls, Cattle Egrets. Yes, dusty roads, fish bone beaches, sunburn, the smell of rotting fish and algae... it was wonderful! The tide may turn, but it sounds like the sea has stayed the same (although, unfortunately, it is shrinking). I was sad to miss the Gull-billed Terns by just a week or two, but am happy to have an excuse to go back. Camping there for three days...that sounds like the best way to do it! Let no pile of filth go unturned in the quest for birds! !